Congratulations to the Victoria Station Upgrade (VSU) and Whitechapel teams for being shortlisted in the 2016 Ground Engineering Awards. The awards celebrate engineering excellence and their 14 categories are designed to showcase the industry’s achievements. VSU has been shortlisted for UK Project with a Geotechnical Value of over £3M. This is for their work with consultants Tony Gee and Partners on the construction of a propped slab to form the roof of the District and Circle lines underpass. The slab sits within 0.6m of the running rails of the District and Circle lines, and work involved a six-day closure of the District and Circle lines over Christmas 2014, as opposed to 17 weekend closures using the construction methods originally proposed. The Taylor Woodrow BAM Nuttall joint venture is constructing an upgrade that will transform journeys for over 2 million passengers each week by providing a new North ticket hall, doubling the size of the existing South ticket hall, and providing step-free access for passengers. 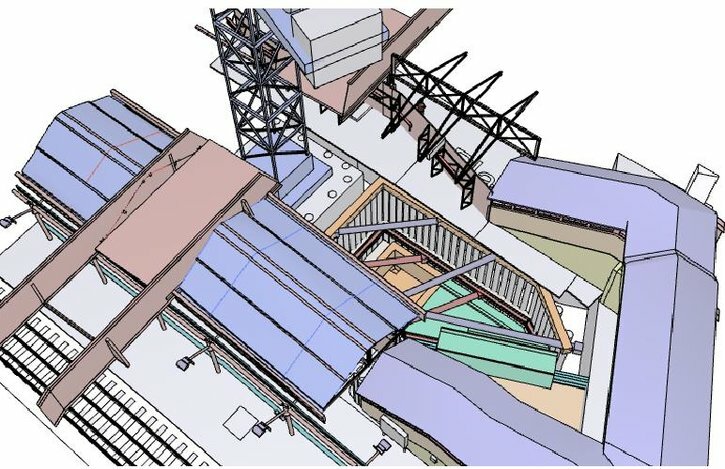 Whitechapel has been shortlisted for UK Project with a Geotechnical Value of up to £1M for their West Lift Lobby propped excavation scheme, as pictured. It is one of the smaller but highly technically complex elements of ground engineering on the project, with the excavation located in disused roads between the east and westbound Hammersmith, City and District line platforms within the station. A tower crane located 1.5m from the shaft further added to the challenge of constructing the lift lobby, which will provide step-free access between the new station concourse and existing East London Line subways. The Balfour Beatty Morgan Sindall VINCI joint venture is constructing a new station at Whitechapel to provide an interchange between the Underground, Overground and Crossrail stations. Both teams will learn if they have been successful in their categories at a ceremony at the end of June.